The "Welcome" formula (Cup of coffee and biscuit) : €7.5/person. 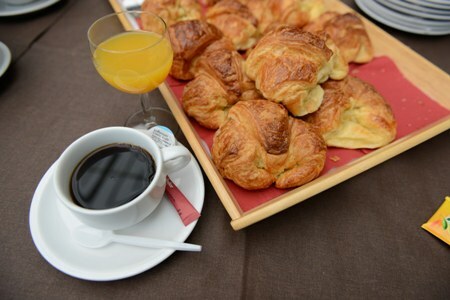 The "Breakfast" formula (Cup of coffee and croissant) : €8.5/person. The "Snack" formula (Cup of coffee and a piece of masteilles tart) : €9.5/person. a piece of masteilles tart) : €10.5/person. One formula to choose from per group (the above prices include the price of admission to the museum).